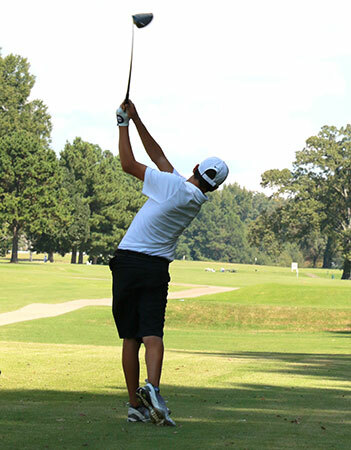 CABOT — Logan McDonald fired a second-day round of 77 over 18 holes at Rolling Hills Country Club on Wednesday to lead the Bryant Hornets at the Class 6A State tournament. That gave McDonald a two-day total of 161, a stroke behind teammate Brendon Morton, who followed up his 79 on Tuesday with an 81 on Wednesday for a 160. As a team, the Hornets’ scoring quartet combined on a two-day total of 650, two strokes behind Conway, eighth among the eight teams of the 16 in Class 6A that qualified for State. Clayton Harbour followed up his 81 with an 82 for a 163. Daniel Taylor shot 84 after his 82 on Tuesday for a 166. Andrew Gaspard’s 88 gave him a two-day total of 178. “Logan came back and had a good day on Wednesday as we tried to move up from the eight spot,” said Hornets coach Steve Griffith. “Unfortunately, the other guys did not have their best day.